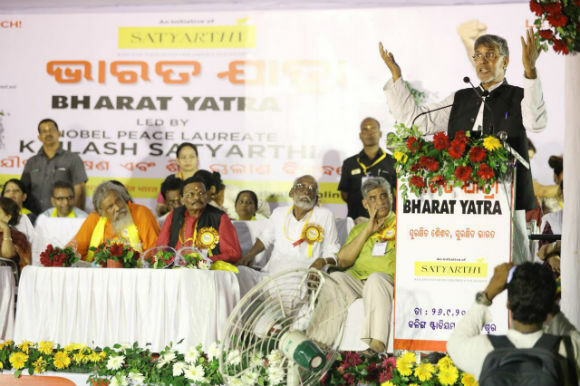 Bhubaneshwar, 26thSeptember 2017, Tuesday: The Bharat Yatra, led by Nobel Peace Laureate Kailash Satyarthi reached Bhubaneshwar in Odisha on the sixteenth day of the 35-day long march across India. The march saw the participation of nearly 5000 youth, and working professionals march fromJantaMaidan to Kalinga Stadium and demand necessary rights for the youngest citizens of our country. The spirit showed by the city of Bhubaneshwar, to pledge and join the Bharat Yatra to make India safe for our children is what is needed for the country to take its steps towards combating this growing menace. “Today, honourable ministers are here, they are supporting the Yatra, which makes me happy and this gives me courage to move forward. I appeal to all corporate, religious leaders to spread the message that perpetrators be shamed and socially boycotted, while the victims of these traumatic events, be taken care of,” added Mr. Satyarthi. The Bharat Yatra launched on 11 September at Kanyakumari by Mr Satyarthi is marching across the country to build unprecedented awareness on combating child sexual abuse and trafficking. The Yatra marchers called upon the youth of the country to step up and fight for children across India. 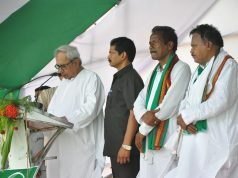 They urged people of Bhubaneshwar and the state of Odisha to strive towards building a safe childhood and a safe India. Ever since its launch, Bharat Yatra has been drawing enormous support from citizens across India, including celebrities like Amitabh Bachchan who tweeted to his fans to support the Yatra. People cutting across faith, geography, profession and vocation are coming together to support the Yatra and the creation of a safe India for our children. They are collectively striving for better laws, stronger implementation and faster modes of redressal for victims of abuse and trafficking.Earlier today, Shri. Rajnath Singh, Union Home Minster assured the Nobel Peace Laureate that the anti-trafficking bill he is fighting for will get parliamentary approvals. 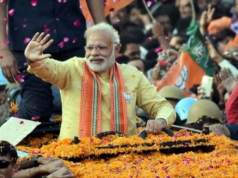 Earlier, Prime Minister Narendra Modi had sent a personal letter to Kailash Satyarthi extending his support to the Yatra, which will cover 11000 kilometres across 22 States, including Tamil Nadu. 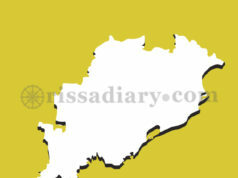 Some of the key cities it covers include Chennai, Bangalore, Hyderabad, Mumbai, Guwahati, Bhopal, Jaipur, Srinagar among others.